Download this free monthly blog and social media stat tracker to keep track of your blog and social following growth from month to month. Do you know what I love about the first of the month? Waking up, pouring myself a cup of coffee, and checking my blog and social network stats. Of course I check my stats more than just once a month, but what is special about the 1st of the month is that I not only check my stats, I record them. By tracking my monthly stats on paper I can easily compare my numbers with the previous months, and see how much they have grown. It's a new year so I have created a brand spankin' new Blog and Social Media Stat Tracker printable for myself to use in my “2016 Blog Planner Binder.” And just as I did with my Sponsored Post Payment Tracker, I am making this printable available to you all as well – I hope that you find it as useful as I have! 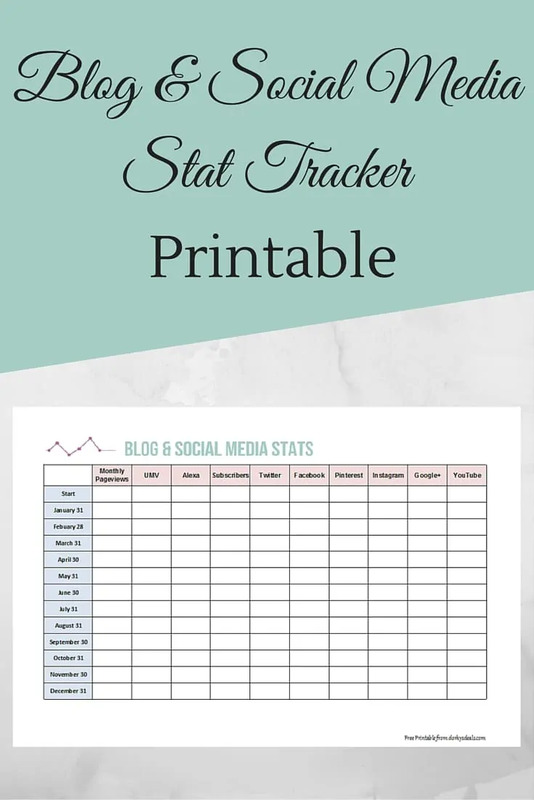 I want to point out a few things about this Blog and Social Media Stat Tracker Printable before you click that “download” button. The first line is for your blog stats at the beginning of the year. I tracked my end of the year stats on Jan 1st so I was able to fill them in on the top line of the spreadsheet. If you don't know your stats from the start of the year just skip that line, or estimate them. No biggie! Although the dates on the Blog and Social Media Stat Tracker read the last day of the month, I always record them the morning of the first of the month. You can do it either way as long as you are consistent. 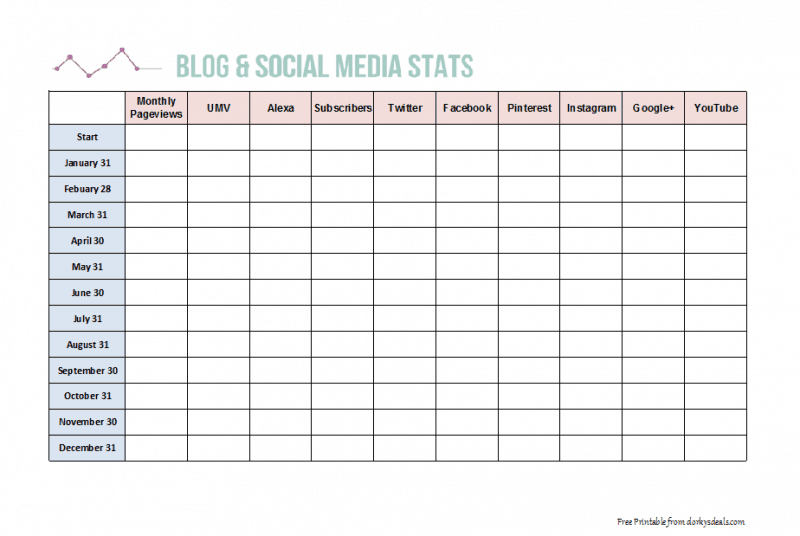 Click below to download your free Blog and Social Media Stat Tracker printable. What a great chart. Thanks for sharing! This is interesting. Stats can give some very valuable information! That is so useful! I will be printing one of these to keep track. I’m really dedicated to keeping tak of my stats, so I’m digging this printable. Keeping track has never ee so cute. i am continuously looking at my stats but never kept track of them. This would be a great way to do that. This is very smart idea to track your website rate and followers. Super helpful printable!! Thank you! Thank you so much for the printable! With this, it makes things easier to track your social media stats!